The LLT Lab empirically investigates the argument structures found in a sample of decisions from the Board of Veterans Appeals and the U.S. Court of Appeals for Veterans Claims in the United States. This is one product of the Lab’s Veterans Claims Project (“VCP”), which begins in 2016. 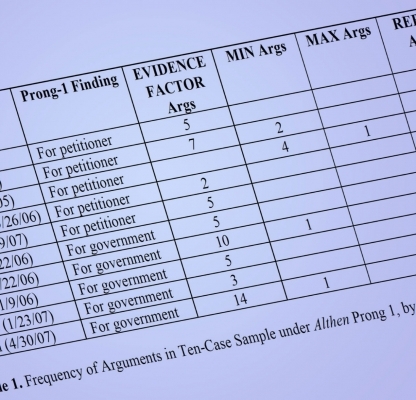 When it comes to analyzing argument and reasoning patterns in such decisions, traditional formal logic generally proves inadequate because it can represent very little of the natural language patterns found in actual decisions, and it does not provide useful heuristics for interpreting actual sentences in text as elements of argument structures. The Lab addresses both of these problems by proceeding from actual texts to develop patterns that can explain all or most of the text. 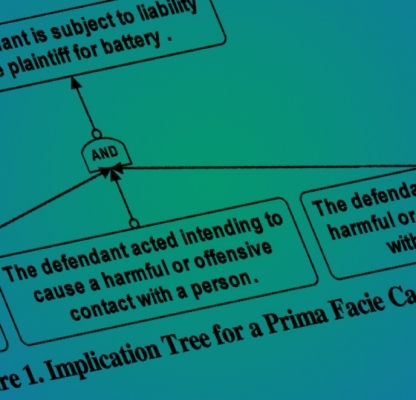 You can access our analyses of reasoning passages in particular cases by navigating through the rule tree for proving service connection for a disability. 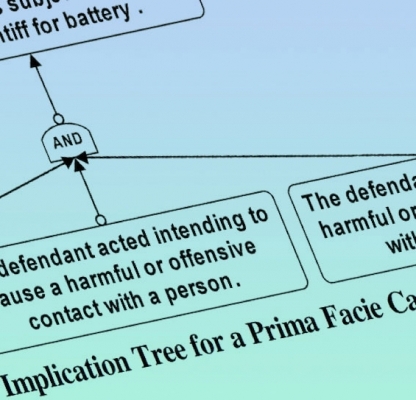 The rule tree analyzes the proof for service connection into its component parts, and focuses in particular on proving that posttraumatic stress disorder (PTSD) is connected to the veteran’s service.